A unique and easily understood discipleship book for new Christians. 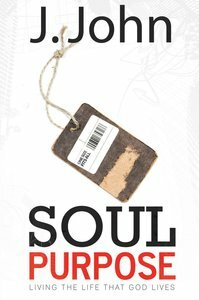 ^Soul Purpose is written for those people who are^relatively new to their faith to help them shape their^new relationship with Jesus. ^^It brings clarity to many issues facing new believers, enabling them to move from the place of making a first time commitment to starting to live their new life in Jesus. ^Is the Bible relevant to twenty-first-century living? ^How to walk away from damaging behaviours. ^Why and how do I pray? ^Going to church and loving it. ^Why Christians face difficulties and how to cope^with them. ^Soul Purpose is about living one's life God's way.